I am proud to say that nearly 50 years ago I started my career working in public libraries in New South Wales and since then I have had an ongoing love affair with those institutions and the great work they do. 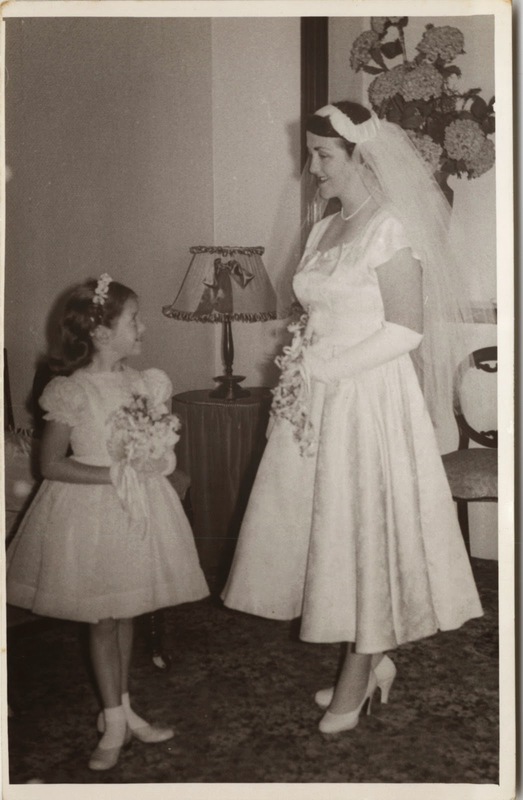 On the eve of National Family History Month (NFHM) I am feeling rather sad. Having just checked the calendar for NSW events in National Family History Month I am disappointed that most public library services in my state (and some big metropolitan ones at that) are not recognising NFHM by hosting events during the month. "Unfortunately we were unsuccessful in getting this planned at our branch and through for approval for our August What’s on promotional material. As such we won’t be going ahead with this for August. I am open to future suggestions for sessions and would still love to have you speak at our libraries . Please feel free to contact me with further ideas"
My next communication from this library was to ask me if I would be available to speak in October. We have set a date, they have asked for a bio for promotion so it looks as though that might go ahead. I sent a less formal offer to the other library early in July and have yet to receive a response!! Surely there is some time that the seminar roms are free in these libraries and that a staff member can be relieved for and hour or two to meet and greet and oversee the proceedings. As for promotion a poster in the library, use of the Councils' social media tools (they have them) and a listing on the NFHM calendar would get the message out. There are five large library services within a half hour's drive of my home: Hawkesbury, Hornsby, Ku-ring-gai, The Hills and Willoughby. On checking the NFHM calendar I note that only one of these, Hawkesbury, is hosting any events for National Family History Month. You can see their What's On Brochure here. I am looking forward to hearing at windsor Library "SINGLE FEMALE EMIGRATION 1830s - 1840s" on Wednesday 13 August 10-11.45am – with Dr Perry McIntyre. What of other public libraries? Two Eastern suburbs libraries that I worked at, Randwick and Waverley, do not have any events. I am most disappointed that public libraries are not supporting our special month. Our State Library of NSW is flying the flag with a fantastic program of events that should amuse those within cooee of Sydney. Together with the beaut program of events from societies and Familysearch centres there are many events to entertain and educate family historians. I know that I will be very busy furthering my learning this month. Shauna Hicks does an amazing job promoting and organizing National Family History Month. Let's get behind her and ask our local public libraries what they have planned for NFHM. This month I have been devoting quite a deal of time to blog reading for an annual task that I undertake Inside History Magazine". Thankfully my RSS feed reader Inoreader makes it easy for me to organise my subscriptions and keep up with my blog reading. As well as continuiing with regular blog readiing I am evaluating blogs against a list of criteria in a rubric I have set up for the purpose. I use Google Drive so that I can edit the spreadsheet on all my devices. Last year I commented that “I am especially interested in blogs from genealogy and historical societies where there is a dearth of good blogs.” I received no direct feedback on this comment but did notice that a forum discussing this issue was set up on The Royal Historical Society of Victoria site. From that forum I have found a few more blogs to add to the list for consideration. I am particularly interested in Australian blogs. During the past year I have discovered several new blogs from societies and individuals but most of these finds are serendipitous. 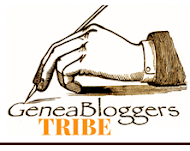 To find new blogs I look at the Geneabloggers list for Australian blogs, Unlock the Past's list of Australian blogs, look at blog rolls on blogs I follow and follow links on various social media. Unfortunately I am not omnipotent so I may miss some worthy blogs. I need your help to add to my lists of Australian Genealogy and History blogs. Please let me know of any blogs that I should have on the long list for consideration. A message about the Stubbs Family (from the Hawkesbury) Reunion came through last week on two Rootsweb lists that I follow. As they appear to want to get the word out I thought I'd repost the message. As I am a stickybeak I decided to take a look at the Stubbs Family website. It is interesting to see that there is little detail on Stubbs descendants on the website, however, those who wish to discover details of Stubbs descendants can purchase several volumes of Stubbs family genealogy publications via the website. I don't know how they did it! My friend in genealogy DearMyrtle (Pat Richley-Ericson) and her Cousin Russ (Russ Worthington) should be singing in best Dora the Explorer style "We did it, we did it, we did it, Hooray." but I suspect that they are sleeping after hosting the 24 hour Geneasleepover Hanagout on Air. I cannot thank them enough for hosting this feast of learning and collaboration from which I learnt so much. It was fortuitous that Mr GeniAus was away on business so I was able to participate or tune in to the Hangout during my waking hours. I spent around 7 hours on the panel and another two hours viewing the proceedings from the DearMyrtle community. As I am having trouble writing a coherent report on this event I will use my fave PMI (Plus, Minus, Interesting) thinking tool toorganise the thoughts I have about the event. * It was a worldwide event open to all members of the DearMyrtle Community on Google+ and invited guests to join the panel. * Community members watching the show live could participate by making comments in the community. * Anyone with access to the internet could watch the live show on Youtube. * Dovetailing with the Familysearch indexing event was a brilliant idea. * Myrt's relaxed manner makes panelists and viewers feel as though they are all taking part in a fireside chat. * Myrt and Russ don't take themselves too seriously. They are willing to make and learn from their mistakes. * Panelists from countries all around the globe joined in to share local knowledge. * People from Familysearch joined in to keep us updated with latest statistics from the indexing event. 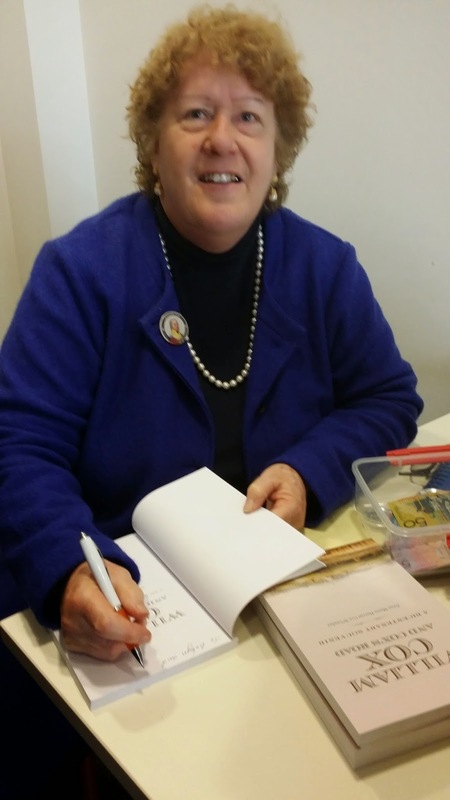 * I got to talk in real time to fellow genealogists I knew from the online genealogycommunity. * I got a chance to spotlight and talk about "Australian Royalty". Thanks for the invittion Myrt. * I had opportunities to talk about several topics as Myrt deferred to members of the panel. * There was a huge range of topics for discussion - something for everyone. * The online indexing demos were helpful. * Being a panelist gave me an opportunity to ask questions of other experts. Thanks for the answers. 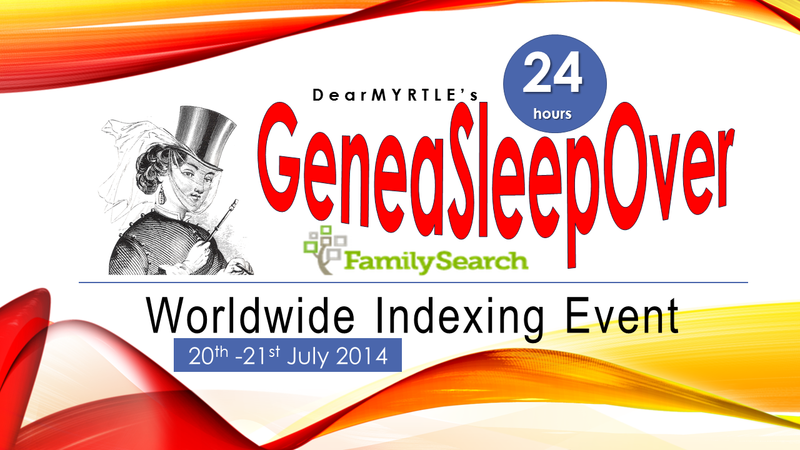 * Seeing young genealogist, Caitlin, online and representing Australia gave me a buzz. * It was heartening to see Australians commenting in the community about their indexing efforts (Alex Daw springs to mind). * My fave activity was watching and hearing Sherri, a Familysearch indexing arbitrator, demonstrate and discuss arbitration. * My internet connection remained stable for most of the day. * I completed and uploaded 5 batches of indexing to Familysearch. * Russ will be timestamping the videos so we can go right to the sections that interest us. * Poor Myrt and Russ were sleep deprived. * I was sleeping when my mate Sonia from Spain was on the panel. * I had trouble minding my manners, it was hard not to interject but I tried to keep myself muted. * I think that only two Australians took the opportunity to join the panel. * My kitchen chair was uncomfortable. I dragged my office chair out for the last couple of hours. * I probably won't find the time to watch the whole 24 hours of video. * I only managed to index five Familysearch batches because I was enthralled y the Hangout content. * I can't fathom why more people didn't join the panel. When I was participating there were spaces left for others to join the panel. * Perhaps in future 24 hour Hangouts so that Myrt and Russ can take a nap the reins can be passed over to various people with just one of Myrt or Russ online at a time to co-ordinate proceedings. * My internet connection became flaky around 6:00pm - peak time in Australia. I will reconsider the times I hold my GeniAus Hangouts on Air and may schedule them for times when the internet is more reliable. * Perhaps I could hold a 6-8 hour GeniAus #hoa with guest speakers on different topics. Congratulations to all of the indexers who collaborated to create a record in the Familysearch Worldwide Indexing Event. The final numbers for the activity will be available in the coming days but Familysearch reported just now on Facebook that an estimate of 66,417 indexers took part in the event. Initially indexers had some issues connecting to the Familysearch servers as they were overloaded but as the hours passed it became easier to download batches for indexing and upload completed batches for arbritation. It was lucky that I had prepared by downloading a couple of batches on the day before the activity so I was ready to begin indexing once the event kicked off. For my small part I uploaded five batches (I think). As there were no Australian records available when I looked I indexed project records in English birth : records from the Phillipines, marriage records from Virginia in the US and US army draft cards from Arkansas. Some of the records were typed and some were handwritten. Although these records were in the Beginner category I found that some of the handwriting and foreign names created challenges for me. I am a beginner indexer who finds that this activity fits in with my lifestyle. It enables me to give back to Familysearch who do so much for the genealogy community, I am able to volunteer in my own time fitting in the activity around the needs of my family.As I transcribe records from other countries I am learning about names, places and records from those lands so indexing alaso is a learning activity for me. 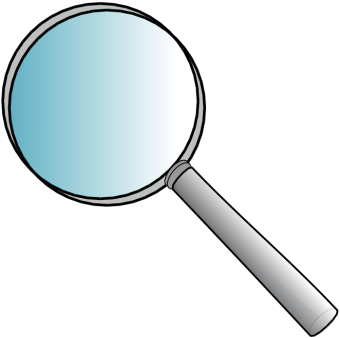 If you haven't tried indexing for Familysearch give it a go. You will find it a rewarding experience. ...was a message I got when I was setting up the GeniAus Hangout on Air this afternoon but I wans't deterred. I went ahead with the hangout not realising that my video feed was missing. This really didn't matter until I sharee my screen and started to demonstrate how to use a resource. It wasn't until the polite panelists told me that they couldn't see my screenshare and that they hadn't been able to see my smiling live face that I realised I had an issue. In spite of this we had a good Hangout, thankfully the video feeds from the other panelists were available. In parts my audio was patchy but the panelists came through loud and clear. So what will I do in future? * As well as doing sound checks prior to the show I will ask the panelists to let me know if there are issues with my video feed. * I will use another room in the house that is closer to our modem/router for my hangouts. * I may connect to our modem/router with an ethernet cable. 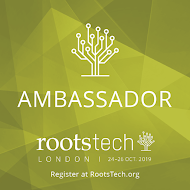 Just realised that it's less than six months until I board The Flying Kangaroo for my journey to Salt Lake City for Rootstech 2015. This year I will be travelling by myself (unless Mr GeniAus changes his mind), I will miss Mr GeniAus my fetch and carry personal assistant but am confident I can go it alone. I remember just how nervous I was when I travelled to Salt Lake City in 2011 for the first Rootstech. I had never been overseas by myself and I was so petrified about not knowing anyone once I hit Salt Lake City. I did make a couple of errors on the first day. I got lost and missed the bus for a tour that had been arranged for the Official Bloggers. The instructions included some north, south, east or west directions, well as there was no sun in evidence and I was from south of the equator I was totally flummoxed. I wrote about this here. Thankfully when I took a wrong turn en route to the bloggers dinner that evening I was able to phone Paul Nauta from Familysearch who set me on the right course. Once I arrived at the dinner all my fears of loneliness flew out the window as I was welcomed by Geneabloggers Amy Coffin and the late Joan Miller. Shipley Munson from Familysearch was a dinner companion who entertained us with stories of his role as Tenor 13 in the Mormon Tabernacle Choir. I wrote about that here. What I realised after that first evening (and the helpful hints I got from other bloggers before I left Australia) was that I should have had no concerns about being overwhelmed. I was warmly welcomed by the geneablogger and genealogy community I met during my stay and have forged lasting online and in person friendships with many of them. If you are considering making your first trip to Rootstech DO IT. You will be assured of a warm welcome by the many people you will meet there. 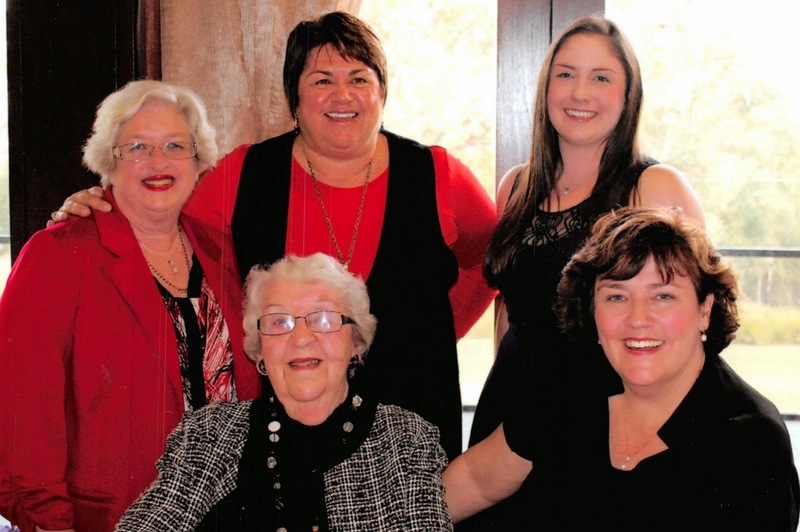 Last week our family farewelled my Aunty Mary. Mary Aileen Corbett (nee Curry) (25/5/1923-26/6/2014) was my father's' sister and the third child of Mary Tierney and Thomas Curry of Canowindra. Born and educated in Canowindra, NSW Aunty Mary finished her schooling at St Edwards in Canowindra where she gained her Intermediate Certificate in 1937, she may have commenced her schooling at Bangaroo Public with her elder brothers. The Curry family lived on the Fairview property and later in the nearby town of Canowindra. 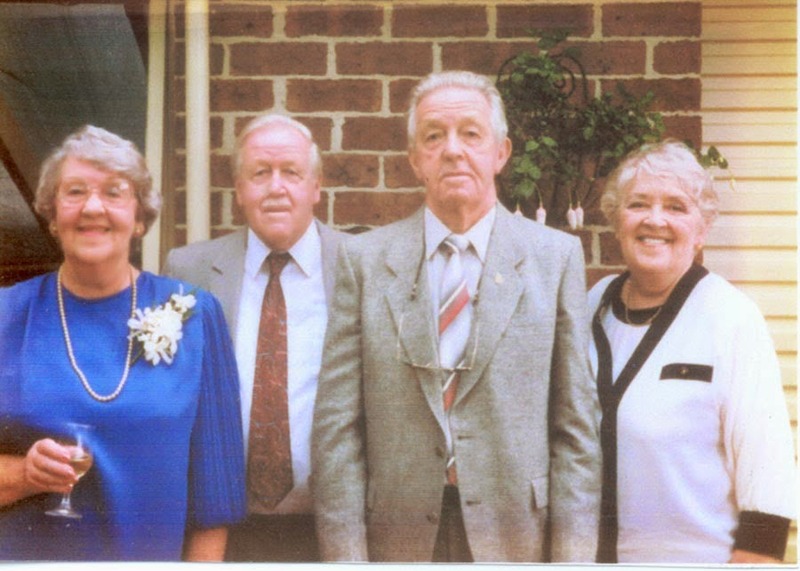 After leaving school Mary worked in Forbes NSW before moving to Sydney in the late 1940s. She and her younger sister, Kathleen, lived in a flat in Springfield Avenue, Kings Cross. Accommodation in post-war Sydney was hard to find and, as my parents and I were living in rooms in Kensington with a shared bathroom, my Curry Aunts gave up their flat for us and moved in with their parents who had moved from the country to Brighton-le-sands. My first memory of Aunty Mary is of a visit to Goldsborough Mort's office in Pyrmont to see her at work. I was probably three or four at the time. 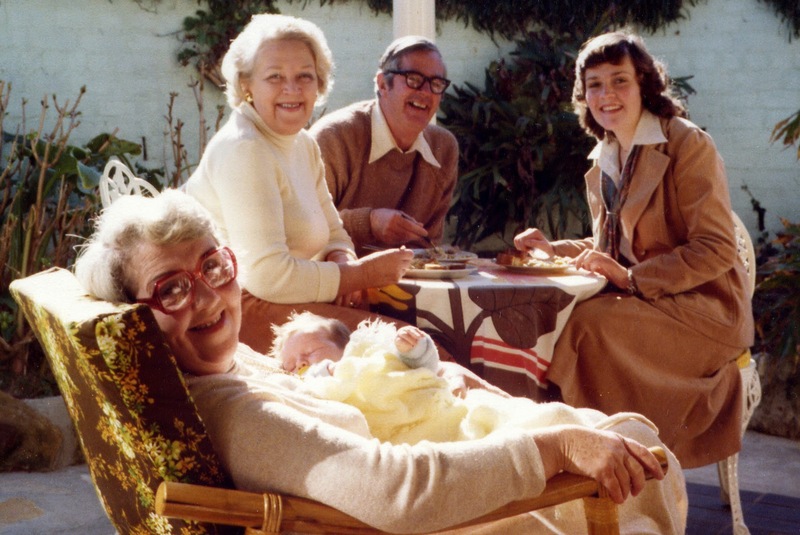 Apart from that Mary was always around when we paid our regular Sunday visits to my grandmother's house at Brighton. I was allowed free reign in my Aunts' room where I was allowed to dress up in their clothes and sample their makeup. As I had the status of only Curry grandchild for seven years I was indulged and spoilt rotten by Mary and her siblings especially when I had a holiday with them. I remember when a young Irish chap, Edward Corbett, joined our Sunday gatherings. I think the twinkle in his eye was directed towards Mary as they soon became engaged and married on April 22, 1957 at St. Thomas More Church in Brighton-le-sands. I was excited to be included in the wedding party as flower girl. Not long after they were married Aunty Mary and Uncle Ed moved into their home at 54 Scott Street Mortdale where Aunty Mary lived until she downsized in 2013. I was short of cousins until Aunty Mary and Uncle Ed started a family. They had five children Elizabeth, a boy, Catherine, another girl and a stillborn. Aunty Mary said that 1960, the year that two year old Elizabeth and one month old baby Catherine both passed away, was her annus horribilis. 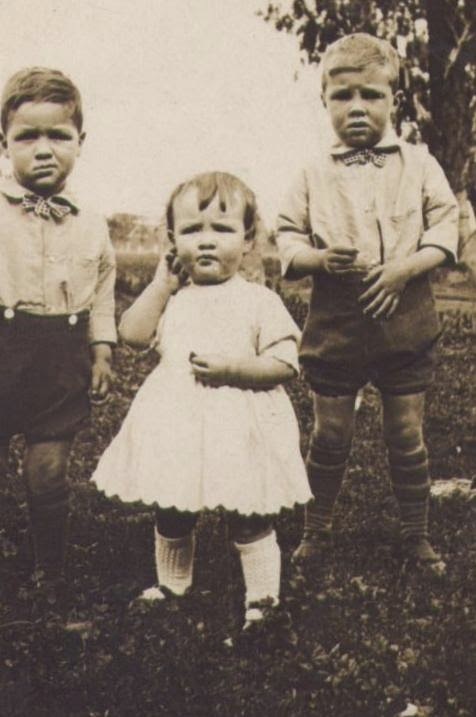 I had quite a few school holidays with Aunty Mary and Uncle Ed at Mortdale. I remember going in Uncle Ed's Ford Prefect (or was it an Austin?) for picnics to The Royal National Park and swimming at Cronulla Beach, the little girl from next door that I played with who was my age is still one of my dearest friends. When the Corbetts moved to Armidale for a couple of years for Ed's work as a hydrographer we made a few visits. 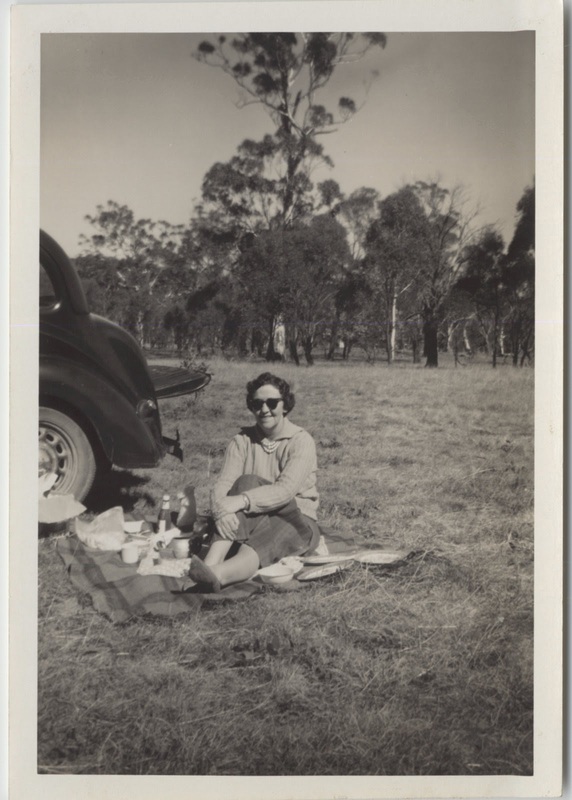 My 13 year old schoolmate and I travelled to Armidale by train for one holiday, we were rather adventurous girls who had great fun and no doubt gave Aunty Mary a few headaches. After their stint in Armidale the Corbetts came back to Mortdale where they lived a rather uneventful life while my two cousins went to school and started university. 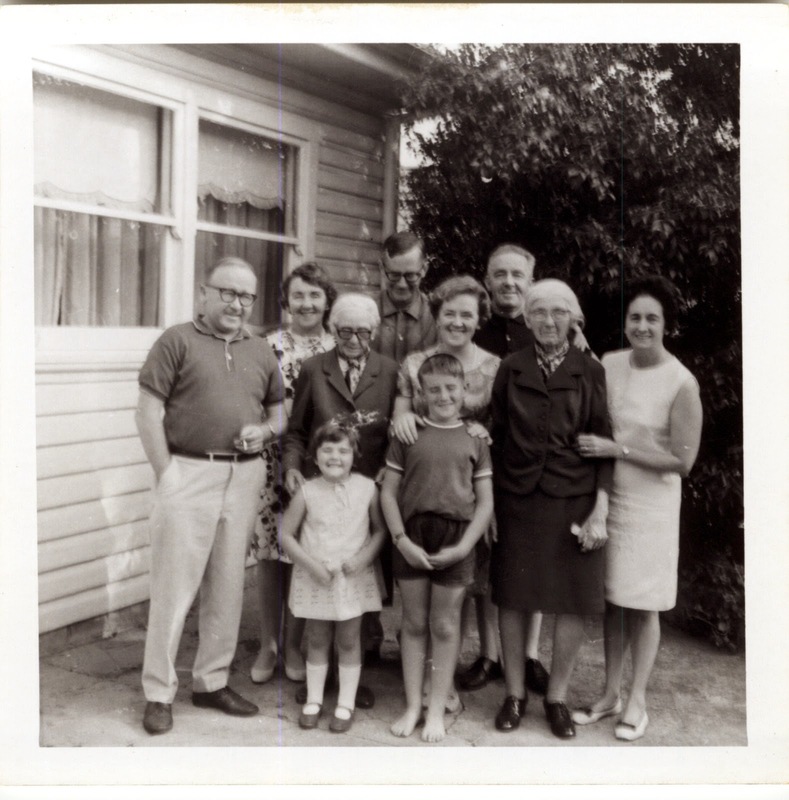 Until my grandmother died our Sunday visits to Brighton sometimes included a further drive out to Mortdale to visit the Corbetts or the Corbetts came to Brighton to meet up with us. We would always gather as a family to celebrate Christmas, Easter and major birthdays. Although she had a rather old stove Aunty Mary turned out the most delicious sponge cakes which she filled with fresh cream and covered with passionfruit icing. We all looked forward to these light and delicious cakes at family gatherings. When her children grew older Aunty Mary returned to the workforce at Palings Music store in Sydney. As she loved music she enjoyed working in the environment at Palings. Family members also found it useful to use Aunty Mary's staff discount, it helped when we bought our daughter's first flute. Tragedy struck again in 1982 when Uncle Ed passed away from heart disease at the age of 56. Mary missed her beloved Eddie but soldiered on making the best of her new situation. Like many girls of her generation Aunty Mary did not complete secondary school but she was always keen to learn. When she retired she took many courses at the WEA in Sydney where she made friends with several of her fellow learners. Mary was a devoted sister. When my Dad was in the nursing home she visited him often, this was a challenging activity as Dad had dementia so it was difficult to conduct a conversation and Dad could not remember who had visited him five minutes after they left. Mary and her younger sister Kath had a special relationship, they kept in daily contact until Kath passed away last year. Her sight was a constant challenge for Aunty Mary. She lost an eye in a childhood accident and as she got older had trouble with her remaining eye. Mary did not complain about her affliction but it impacted on her quality of life as she got older. Stoic that she was she hardly ever complained. Mary loved her family. When I was growing she and Ed played many games of Scrabble with me when they would probably would have preferred to be doing something else. The Corbetts are probably responsible for the Scrabble addiction I suffer from today. Mary was always interested in the doings of my children and grandchildren and loved to hear their news. That she invited all of my 11 grandchildren to her 90th birthday lunch last year when she could have had a more 'adult' party is testament to this. As was her wish Mary passed away suddenly at her home on 26 June 2014 and was laid to rest with her beloved Eddie on 3 July 2014. I haven't been to a genealogy conference for a while and it's time to get my fix but I know that I can't go to everything that's on offer. It's all about choices. I have been umming and aahing about whether I would go to the NSW/ACT State Conference in Wollongong in September but have decided that I won't attend. 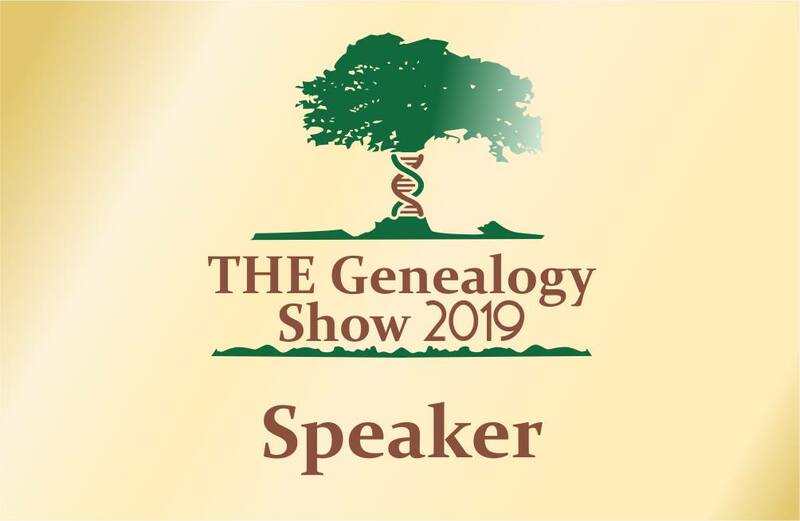 I will miss catching up with many of my genealogy pals but having perused the program I find that it doesn't align closely with my particular interests. Instead I have made the decision to go on the short 3 night 6th Unlock the Past Genealogy Cruise out of Sydney in October that offers two full days and more of genealogy conference at sea combined with the delights that a big cruise ship like the 4.5 star Celebrity Solstice can offer (I am a cruiseaholic). I have confirmed with Alan Phillips of Unlock the Past this evening that I will be presenting on technology topics (TBA) on the cruise, that will be fun as I love presenting to fellow genies. Having looked at the cruise program I find that it aligns with my specific needs and interests. 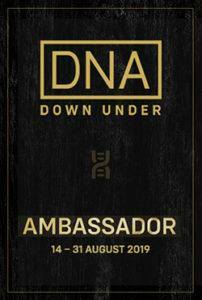 Firstly there is a convict stream presented by Cathy Dunn (a Norfolk Island Expert) and, as someone with over ten direct ancestors who are convicts, this is right up my alley, secondly there will be experts from the three eastern states presenting on research in those areas. Carole Riley will be covering New South Wales and Shauna Hicks will be covering Queensland and Victoria. These experts will be available to give one on one assistance in the research help zone. I am hoping that I can get some guidance from Cathy about one of my Norfolk Island people. If I was a user of Family Tree Maker software I would definitely be joining this cruise as Australian FTM guru, John Donaldson will be presenting a stream of talks about the package. He will also be available in the research help zone to help users with particular issues. Rosemary Kopittke will complete the lineup of presenters. Information about this cruise that is priced from just $969 (twin share) can be found on the Unlock the Past Cruises website. I hope to see some of my mates on this geneacruise. Then you might consider this offer from The British Newspaper Archive that just came through in my email.. 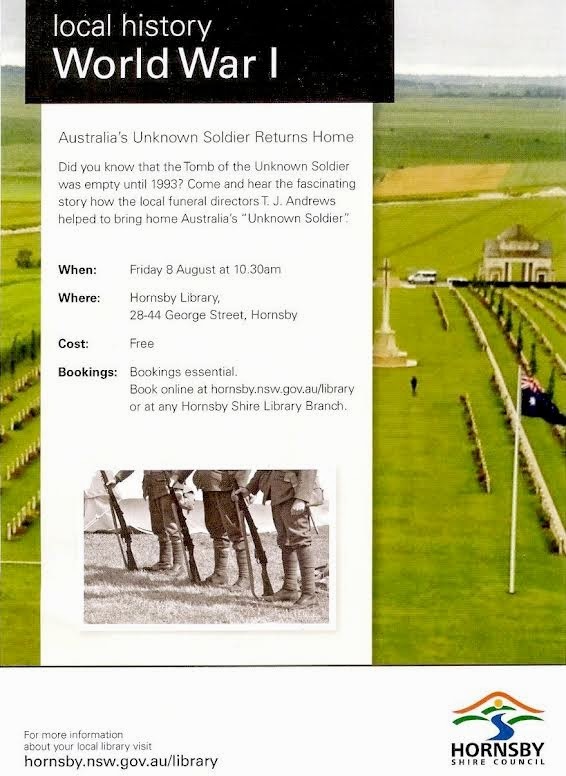 Thanks to Neil Chippendale from Hornsby Library for sending me notification of this talk in August. I have been trying to locate some descendants of my dad's Aunty Polly for over 25 years but have failed dismally. I have found various references to members of the family on The Ryerson Index, in Cemetery indexes and via Trove. I have quite a few photos of Polly's two children in my Dad's and Uncle's photo albums which I have wanted to share with their families. You can guess what's coming. Earlier in the week I logged on to Ancestry and, as one does from time to time, did a new search for Polly's married name, McDonnell, to see if there was anything new around. I found a reference to Polly in a private tree. I quickly sent off a message to the tree owner. B I N G O Last night I got a response from the owner of the tree, Polly's grandson, with the news that his father, my Dad's first cousin, is alive and well in Queensland and interested in family history and stories. My new found second cousin sent me some info, I sent him some, he sent more, I am getting some more together to send him today. The great information exchange is on. Sometimes (ok often) I grumble about the annual fees I have been paying to Ancestry for ten years but today I am so happy that I have unfettered access to their offerings without which I would never have found this lost branch of the family. I was rather excited as she was talking on her latest book "William Cox and Cox's Road" and two of my convict ancestors had worked for Cox on the construction of the road. Can you imagine my disappointment when Anne-Maree showed a slide of the thirty convicts that worked on the road and my men weren't on the list? While the talk continued I grabbed my phone, brought up my family tree and checked my sources. Yes, my men earned their conditional pardons for working on the road. James Westbrook and William Magick were "On list of prisoners recommended for mitigation of sentence by Wm. Cox" as a result of their work making bricks for the road (State Records NSW Reel 6065; 4/1798 p.107) As Anne-Maree didn't want the flow of her talk interrupted I had to wait until the end of her talk to ask if the thirty were the only convicts who worked on the road. She assured me that there were indeed more. I wish she would have mentioned this during her talk! The talk which Anne-Maree read was supported by interesting and relevant historical and contemporary images. The presentation firstly focused on the genealogy and history of the Cox family before moving on to the story of Cox's road. I found it most interesting to discover that Cox's first career was as a watch and clock maker. Because of my ancestor's connection I would have liked to hear more about the road but, as I have purchased the book which includes a transcription of 36 pages of Cox's Journal I am sure that I will be able to discover more of the story of the road's construction right from the horse's mouth. Even if my eyes are only about 62% Irish they are smiling tonight. I discovered yesterday that the Irish Civil BDM Registration Indexes are online here : http://civilrecords.irishgenealogy.ie/churchrecords/civil-search.jsp and haven't I been having a field day for the last few hours. Online are the indexed records of Irish Births, Deaths and Marriages from 1864 and of non-Catholic marriages from 1845 including the Indexed records of Civil Partnerships from 2010 onwards. Several years ago, on a visit to Ireland, a cousin of my Dad's gave me details of some second and third cousins on my Kealy from Kilkenny line but she had no sources for any of the information she gave me. I put the information in my family tree and a couple of people contacted me with further information. I found a few more details in online trees but had nothing that a pedantic genealogist would class as a source. So here I am ploughing through the indexes and adding sources to my Kealys. Most of the information I was given was correct but where I just had years I have dates as some of the index entries give full dates. Many of the index records for births give the Mother's maiden name so I can be confident that I am referencing the right entries. Once I finish this task I will think about purchasing some certificates but now it's back to work. It's not a Happy Dance I'm doing tonight but an Irish Jig. I got some excellent comments on my recent post "How do you react?". It's interesting to see what people reacted to in my post that I intended to ask how people interact with each other on Google+. "Have I got it all wrong? What percentage of posts in yor stream do you read? Do you regularly hand out plusses and comments? What are your criteria for giving plusses and comments? Do you feel that most people miss the point about two-way communication via social media? Should my genealogy contact and I give up on posting?" I am still wondering how people react to posts on Google+. Perhaps it isn't as relevant as I think (or wish) it is.